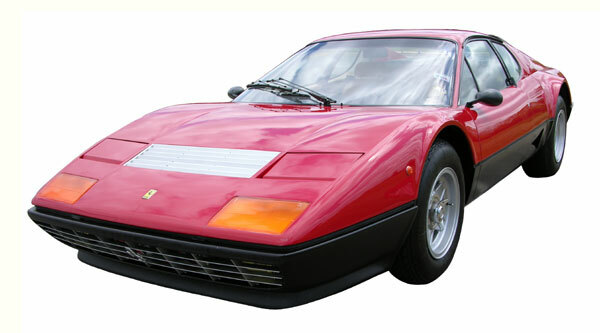 The Ferrari 512 BB is an improvement over the early version of 512 as this latest model introduces greater engine power, traction control and better optimization of fuel in terms of mileage. The 512BB comes with the V-12 engine that can gear up to speeds of 302km/h. Moreover its stroke volume of 4943 and 5 gear system enables efficient driving up to high speeds. If you are an ultimate roadster you will also find a considerable load of enjoyment with this speed machine. Introduced in 1976 the 512 has a horse power of 340 @ 6200 rpm. Its total weight of 1515 kg has proven to be economical to overall weight to fuel efficiency. By carrying 110 liter of fuel in its gas tank it has enabled drivers to drive this speed machine at greater speeds. Moreover in its engine dry sump lubrication is used for good engine efficiency which increases its speed.